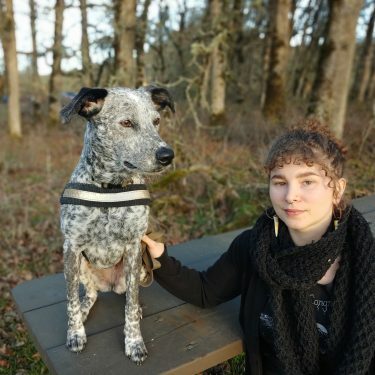 Mckenzie is an Oregon native and has been at Send Rover Over since 2014. Mckenzie knew she wanted to work with dogs in some capacity. Her calm and gentle nature makes her a great match for the grooming shop and is appreciated by dogs and humans alike. A bit of a perfectionist, her dogs are immaculately finished! In her off time Mckenzie enjoys making amazing jewelry, vegan cooking, and hiking with her dog Druna.